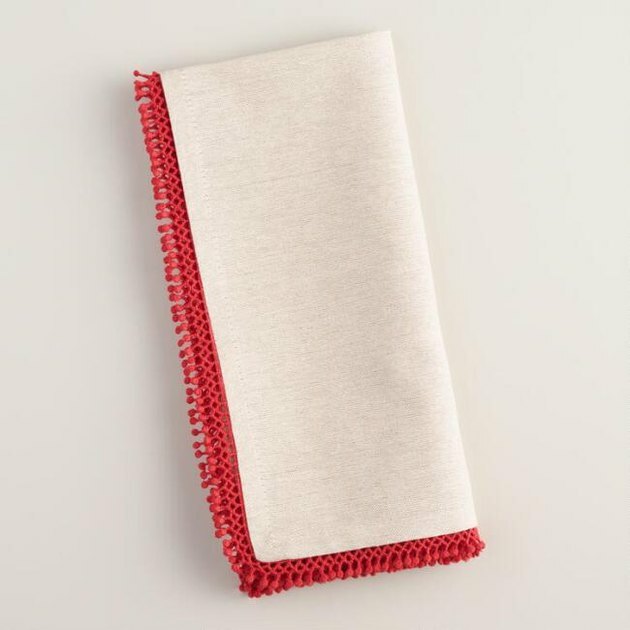 These scalloped paper napkins are too much fun to pass up. 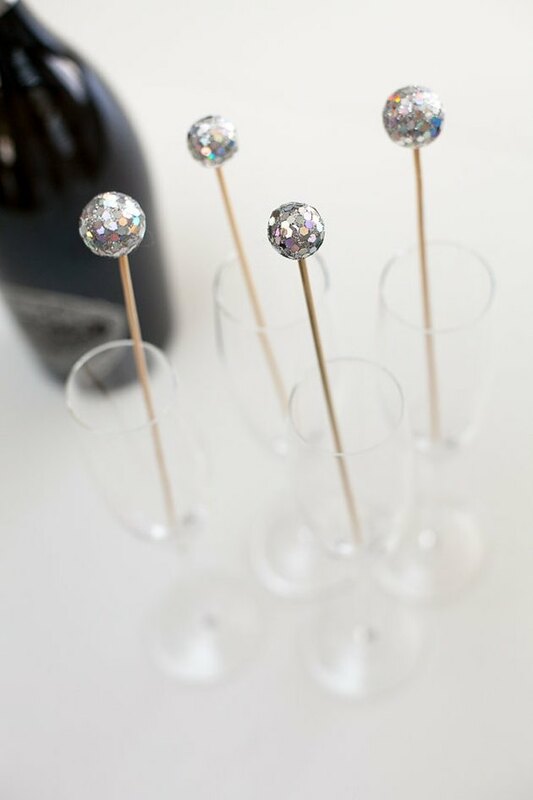 Whether you're making plans for a New Year's house party or doing something mid-December, you can't go wrong with a bit of sparkle. 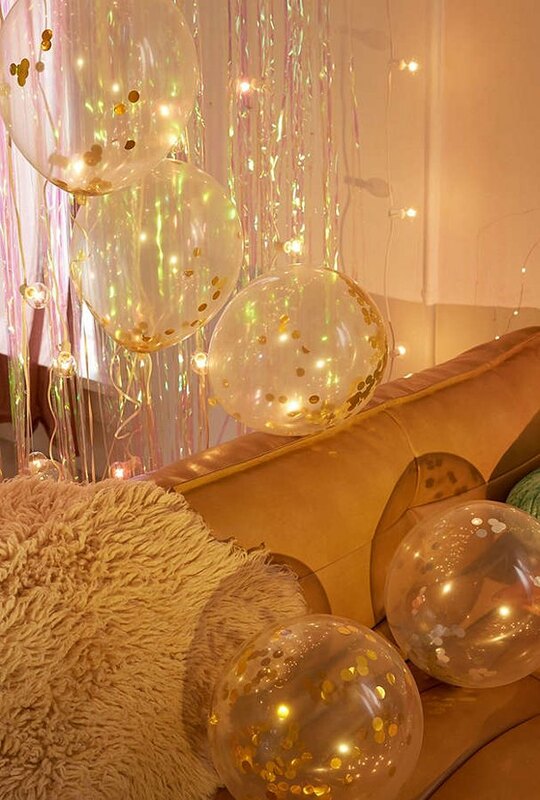 Try these delicate balloons filled with gold confetti from Urban. 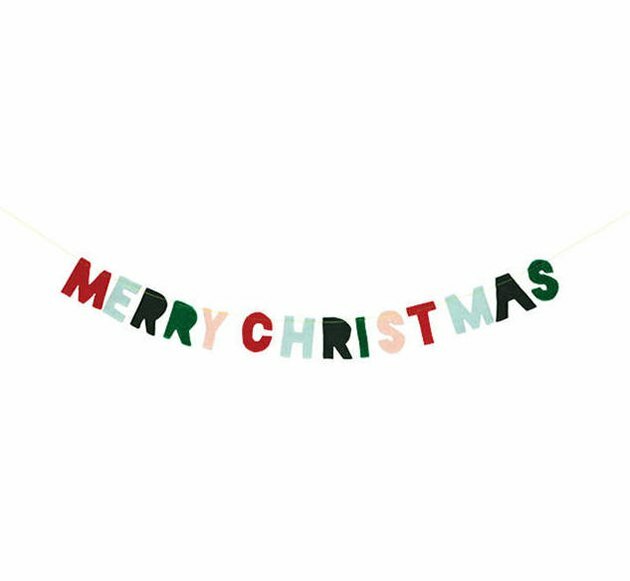 If anyone asks if you made this adorable felt garland, go ahead and say you did. We're not judging. 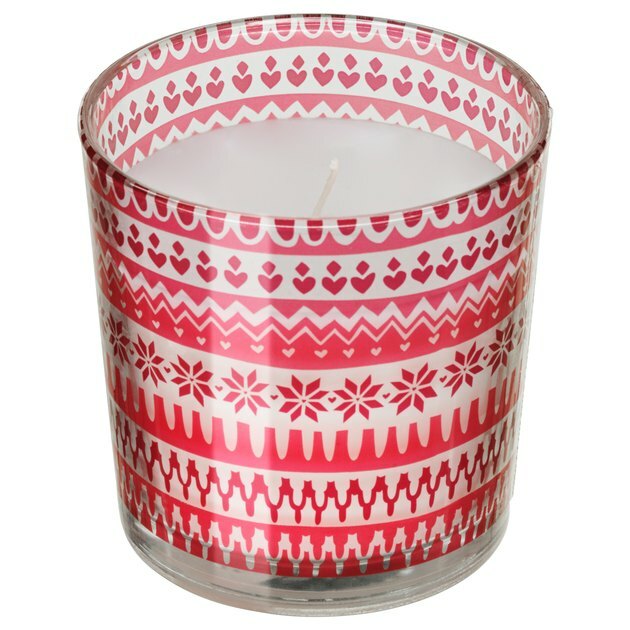 Ikea's winter votives are oh-so-festive and oh-so-cheap: Stock up on a dozen and place them throughout the house for a cohesive theme. 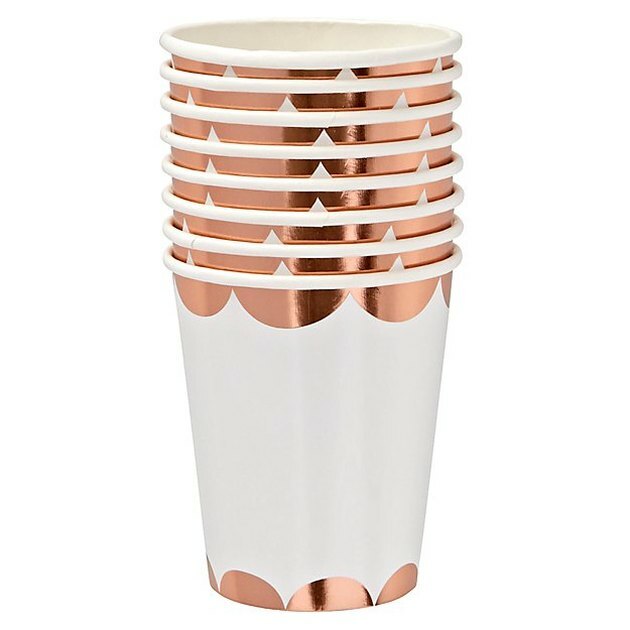 While Land of Nod's rose gold party cups are perfect for a holiday party, any extras can easily be repurposed throughout the year for other events. 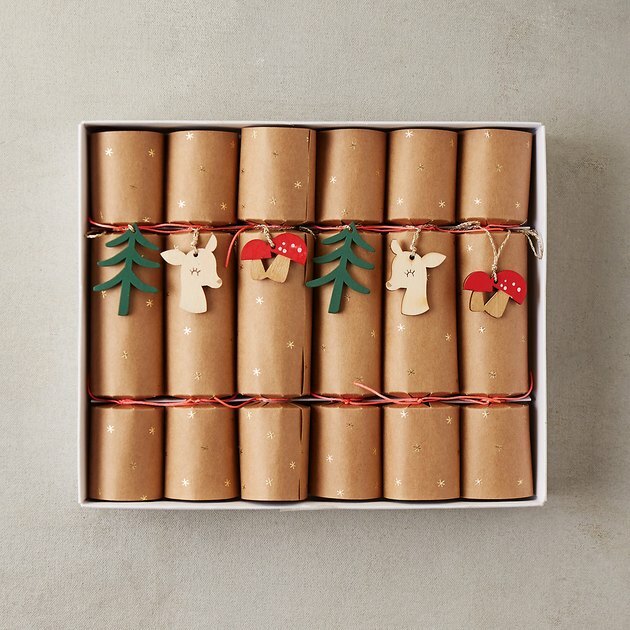 Go out with a bang, or a pop, rather: Terrain's holiday party crackers are a splendid favor to pass out to guests. 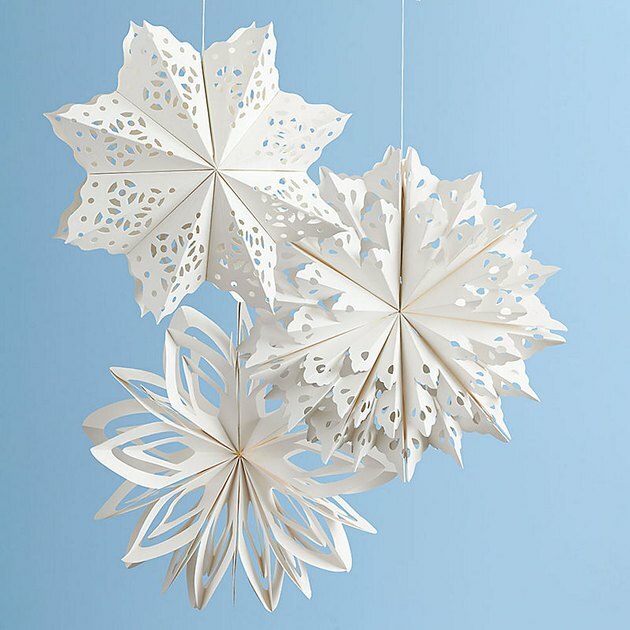 Paper Source's snowflake decorations really make a statement. Plus, they're totally reusable! 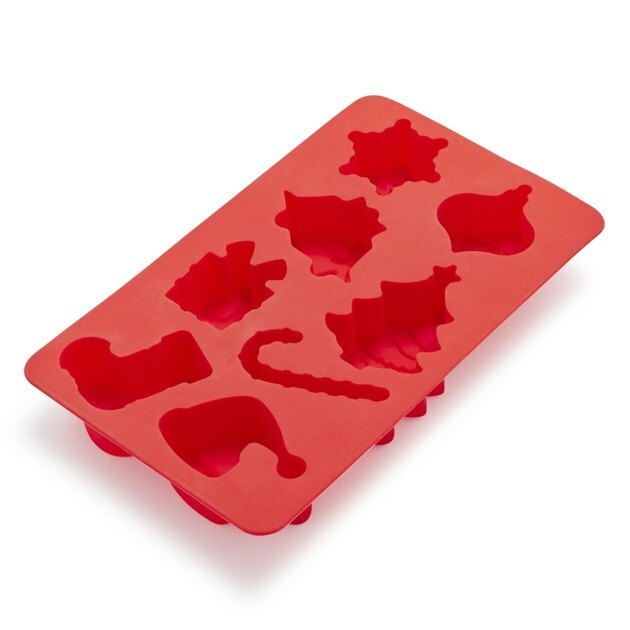 Sur La Table's holiday ice cube tray is seriously making us laugh. Yes, you'd need, like, 50 of these to actually supply ice for party drinks, but for smaller gatherings, why not? New Year's Eve cocktails wouldn't be complete with out a disco ball stirrer. Naturally. 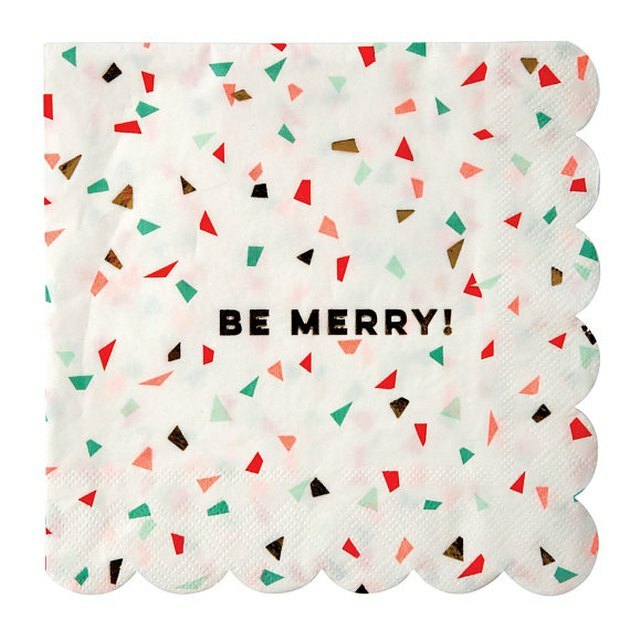 For smaller holiday gatherings, it's always nice to have a set of linens you break out for the season. These napkins from World Market are crazy affordable. 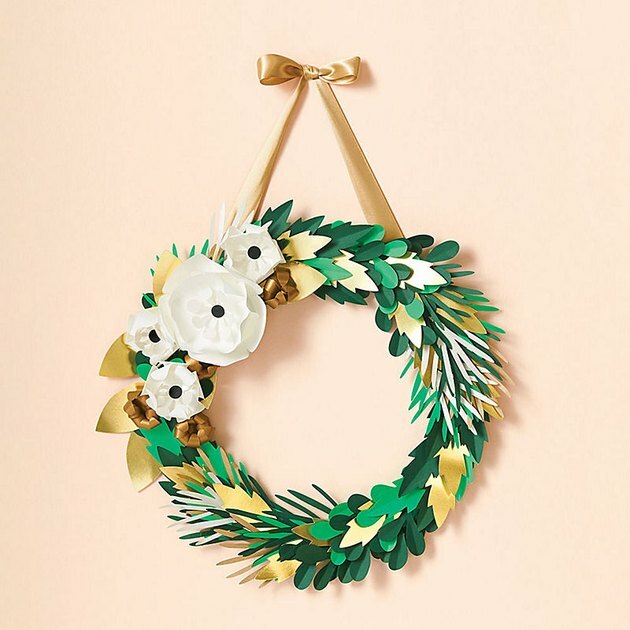 Paper Source's wreath is great if you're looking to bring a bit of indie-inspired craftiness to your holiday decor. 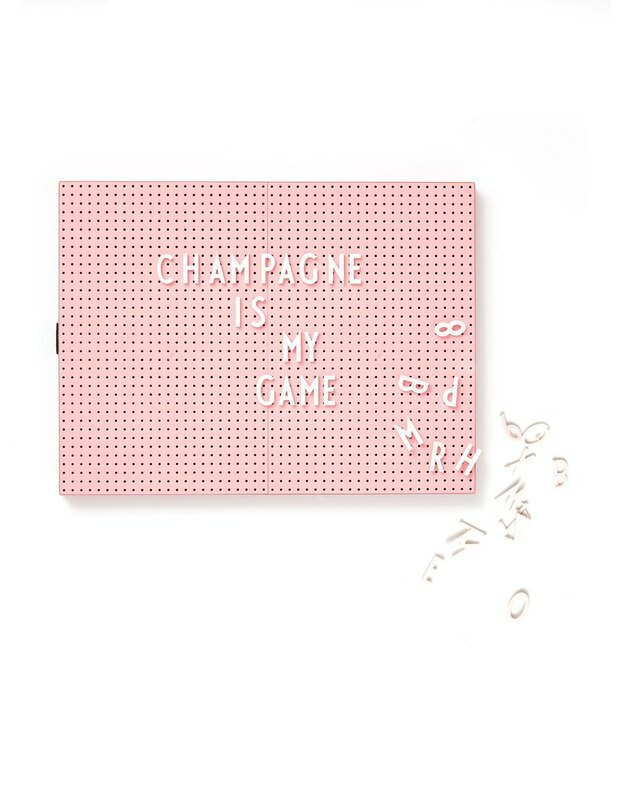 And again: We're all about the reusable items. 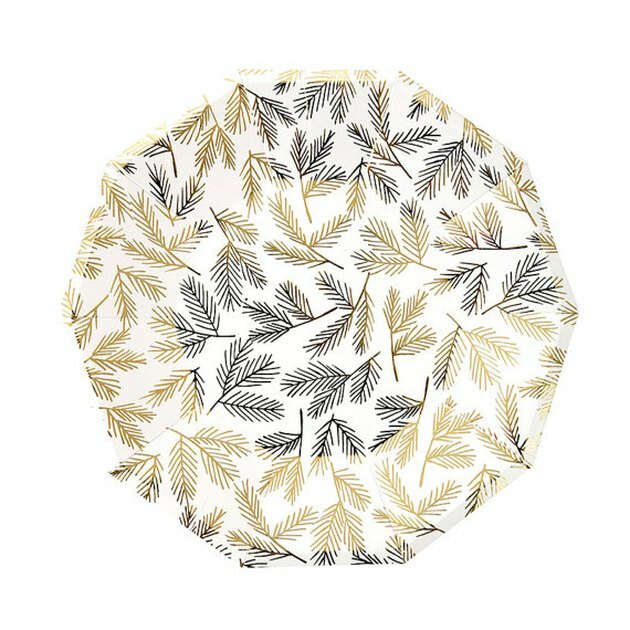 These gold pine leaf paper plates are ridiculously elegant. 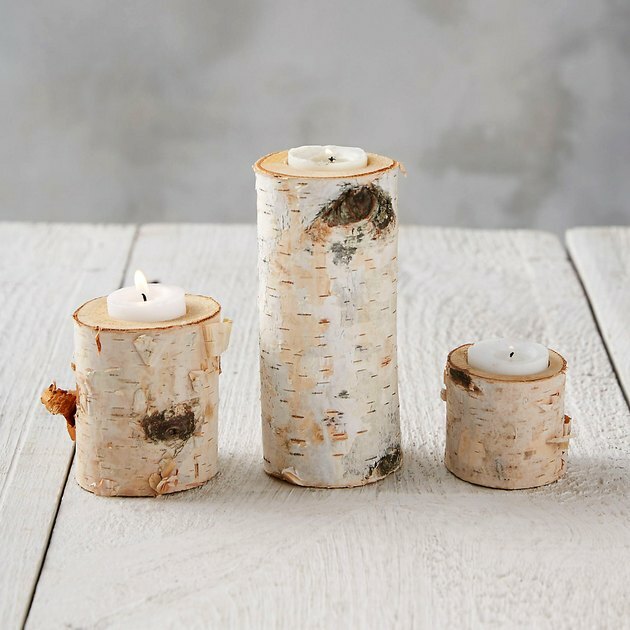 If you're crafty enough and live in a woodsy area, we imagine you could totally DIY these birch candle holders. For the rest of us, Terrain's offerings are pretty dang affordable.